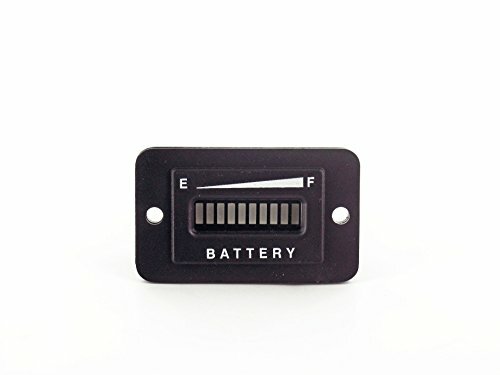 Displays Green LED when battery is in usable charge state. Warns when 20% of charge is left - Indicator displays Yellow. Red/Yellow flashing LED at 10% remaining charge. Must be connected during charging cycle. Dimensions: 2.08 in/53mm Width. 1.26 in/32mm Height. 1.73 in/44mm between mounting holes. 1.26 in/32mm Depth.